Home / Editor's Choice, Entertainment News, Lifestyle / LULU HASSAN’s advice to upcoming media girls on how to avoid controversy and end up like JACQUE MARIBE. LULU HASSAN’s advice to upcoming media girls on how to avoid controversy and end up like JACQUE MARIBE. 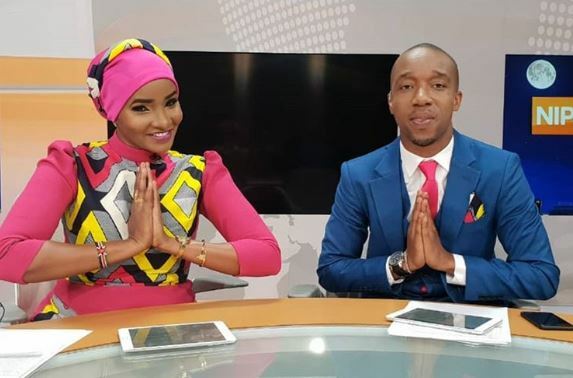 Friday, February 01, 2019- Citizen TV news anchor, Lulu Hassan, is one of the few media personalities who have managed to stay away from controversy. The soft spoken Swahili presenter has been in the limelight for close to 13 years but she has never been caught up in any scandal which is a rare feat. Currently reading news with her equally principled husband, Rashid Abdalla, Lulu has given upcoming media girls a few tips how to avoid falling into the trappings of fame and end up messing their careers like her colleague, Jacque Maribe. “Most young people who are joining media are doing it for fame and not passion, so they end up doing stupid things because of the influence they are getting on social media,” she said.